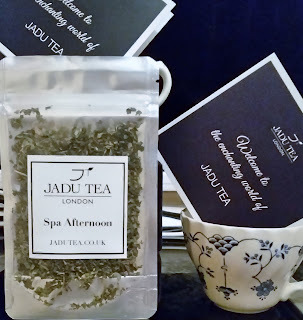 JADU TEA LONDON offer luxury Tea to enjoy any hour of the day. 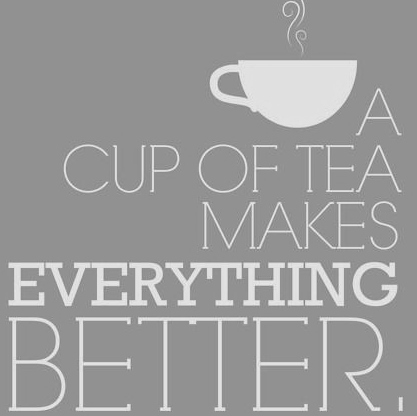 Feeling stressed or happy or having a gathering at your home, the tea pot and kettle are always on constant to offer your guests or yourself your favourite cuppa. 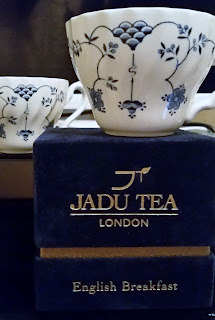 I'm a tea drinker, i drink tea throughout the day whether I'm relaxing by myself or having a social gathering so i was really pleased i had the chance to try JADU Tea's. 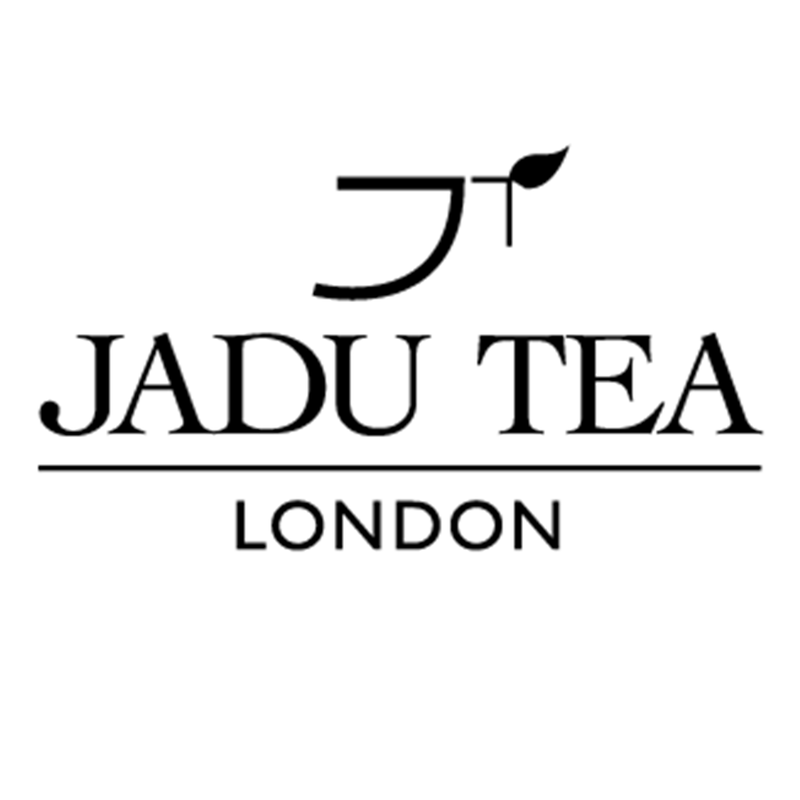 JADU Tea is a London independent global luxury tea brand based in the UK. The team behind the tea aim to bring luxury as well as high quality to the customer whilst giving you satisfaction that the tea is created and blended by the best UK tea blenders. 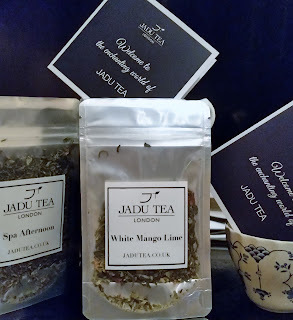 JADU means "magic" in ancient Sanskrit and the JADU team have successfully created a tea brand that is magic to the taste buds and will put a spell on you to try their whole range! BLACK, GREEN, WHITE. OOLONG, ROOIBOS. 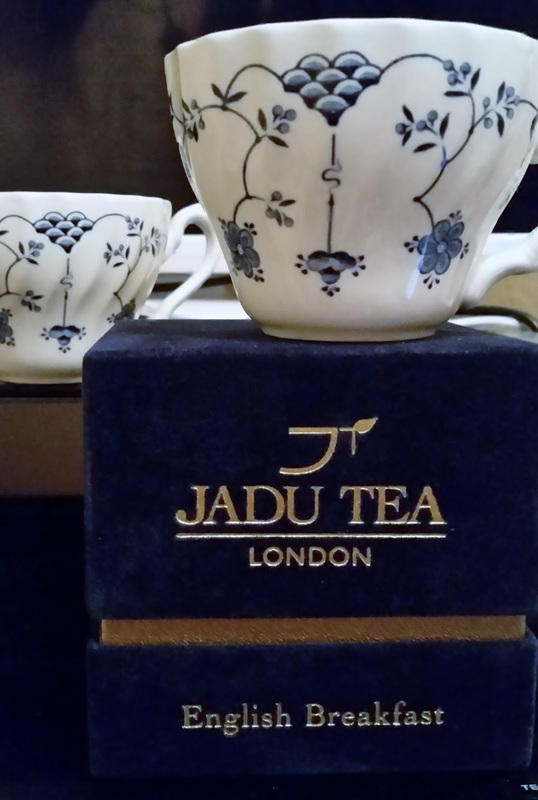 The JADU BOX is luxury at its best with the feel of the royal blue navy suede and the gold writing placed elegantly on the front whilst your amazing loose leaf tea is revealed when you gently slide the top off. 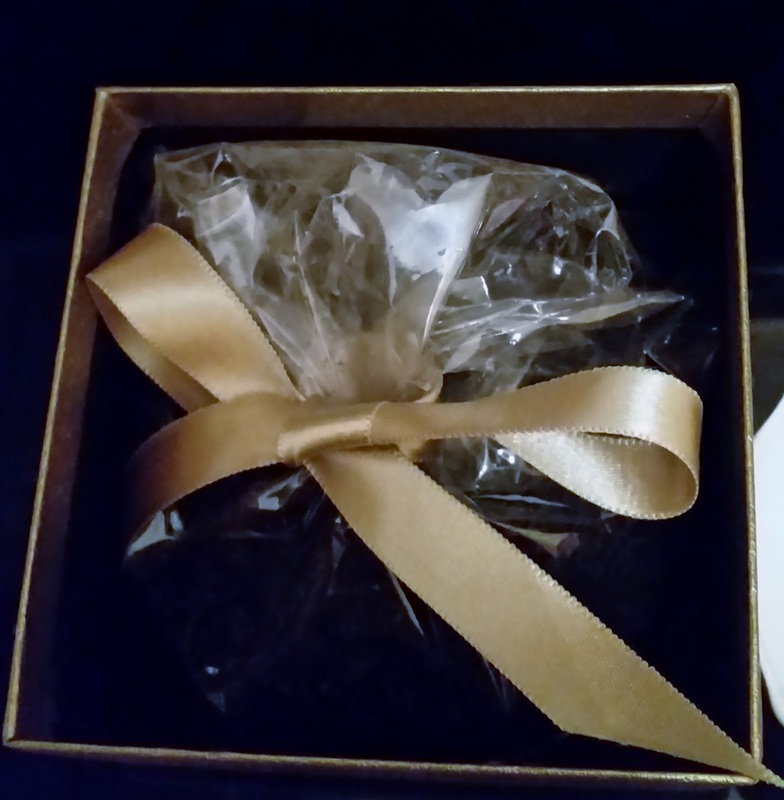 The tea is sat comfortably in the gift box in clear packaging with a gold ribbon adding a nice touch to this already unique box. ENGLISH BREAKFAST was the tea sent to me and i was quite excited to try it. Described as a premium smooth of black teas which are Assam and Sri Lankan, this is lovely and full of flavor which can lift your spirits anytime of the day and help you feel refreshed. You can add milk or drink without and there are clear instructions on the bottom of the luxury box just to give you a few hints if your not sure on how to use. 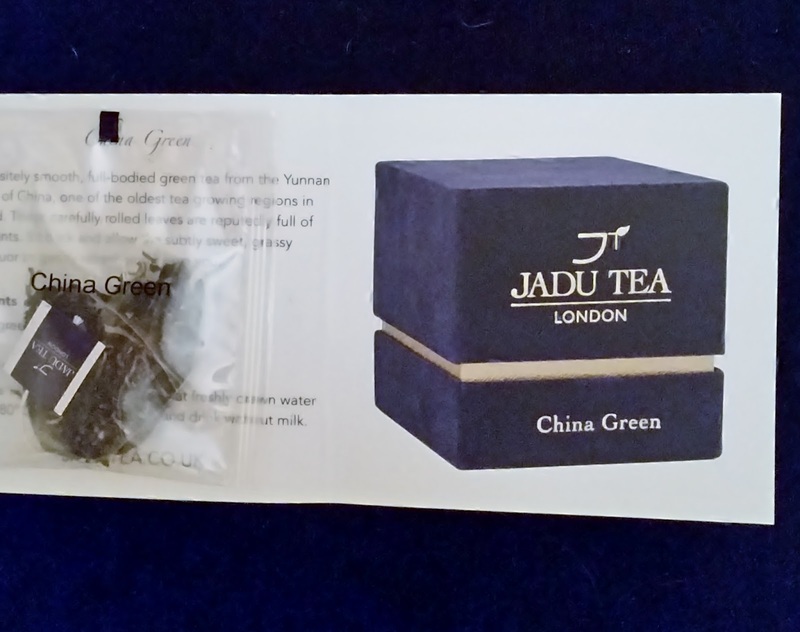 CHINA GREEN was sent to me in JADU TEA envelopes and is a sweet tea packed full of antioxidants to help refresh and revive you either after a long day or through those stressful moments. I love the taste of this and ill be honest i have tried a Chinese green tea before and disliked it. The china green i adore and really is subtly sweet but a pleasure on the taste buds and with those antioxidants you know your drinking to good health. It does state to drink without milk. SPA AFTERNOON is a blend of Chinese oolong tea with added premium herbs to help cleanse and purify your body. A lovely tea that really is magic on the taste buds and is refreshing but soothing when drinking it, i enjoyed it! You don't add milk. WHITE MANGO LIME is a white tea which is tea in its purest form! It is filled with beautifying antioxidants and is enhanced with tropical mango and piquant lime leaves. This tea is fruity and refreshing and i can imagine drinking this in summer when the sun is shining and your wanting something to quench your thirst and relax. You don't add milk. 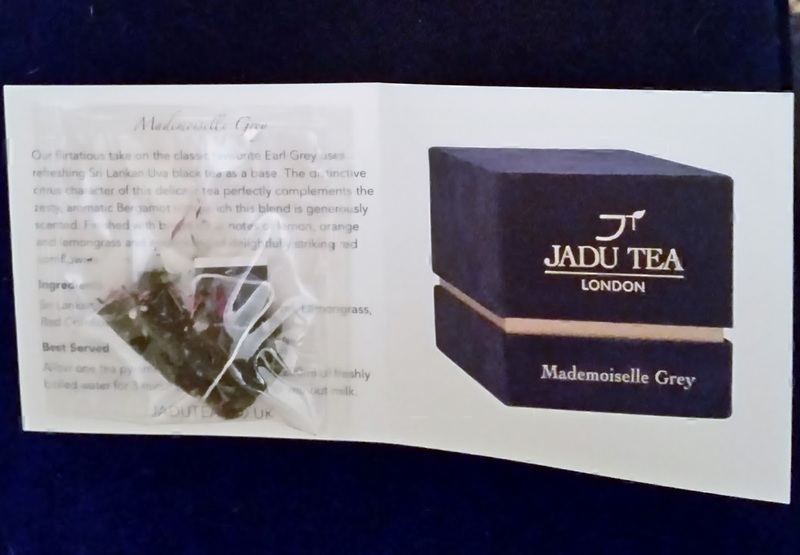 MADEMOISELLE GREY would sit comfortably next to the earl grey but with its own unique taste. A black tea with a citrus attitude lemon, orange and lemongrass as well as sprinkles of striking red cornflowers makes this tea not only an enjoyable tea but one you will want to keep brewing. JADU TEA offers a luxury tea range that leaves you spoilt for choice. Not only do these tea's take your taste buds on an enjoyable journey but some of their teas can be beneficial to your health. 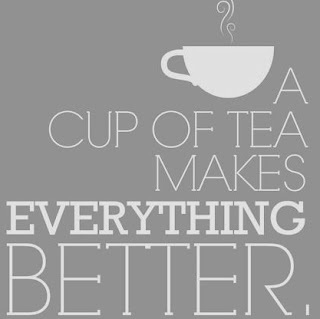 Head on over to their website and decide what tea will be in your favourite cup. X Neal.